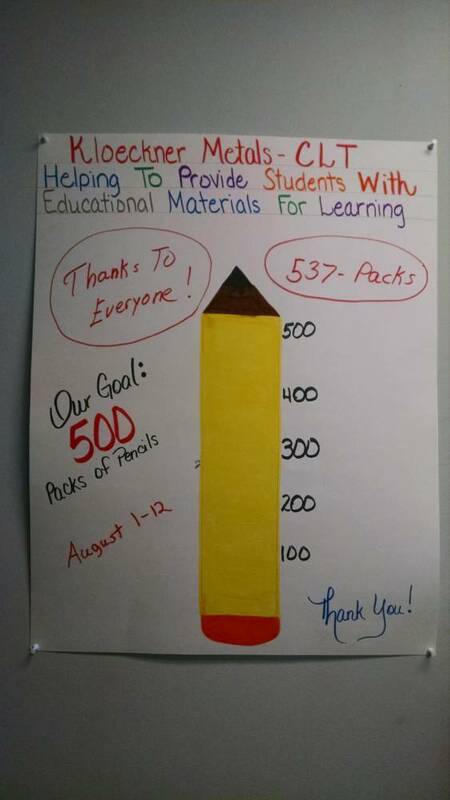 Every year in August the Kloeckner CLT branch in Charlotte, NC holds a drive to collect school supplies for Classroom Central. 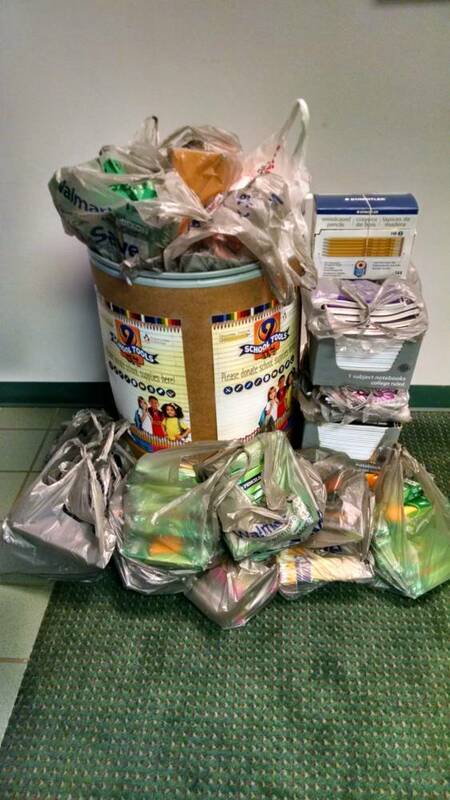 The charity provides free school supplies for Charlotte area teachers working in poverty-stricken schools. They have the main facility where teachers can come and pick up supplies and also they have mobile trucks that go out to the schools with supplies. “It is all free to the teachers,” said Chuck Laney, traffic manager at the Charlotte branch. “I’ve always heard about how much money has to come out of their pocket each year to supply students with the proper tools to succeed, and this is a way to help the teachers as well as the students”. These supplies can make all the difference in a student’s life. 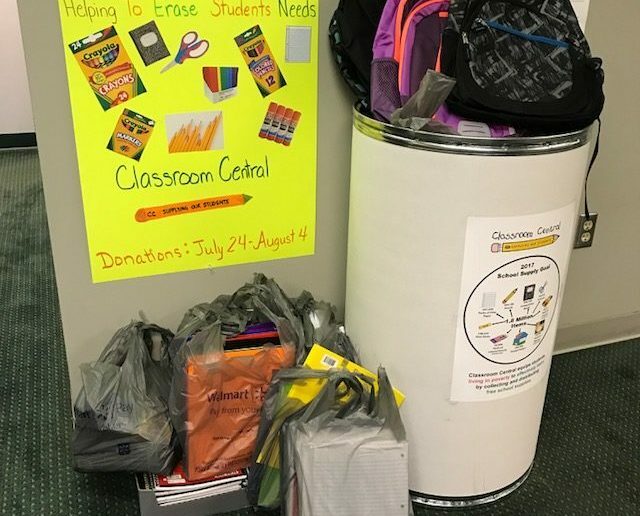 Sometimes students are struggling because their parents are struggling financially, and some to the point to where they may be homeless, even living out of a car. Sometimes they can’t even afford a pencil, something that many of us simply take for granted. Without these essential learning tools, students fall behind. 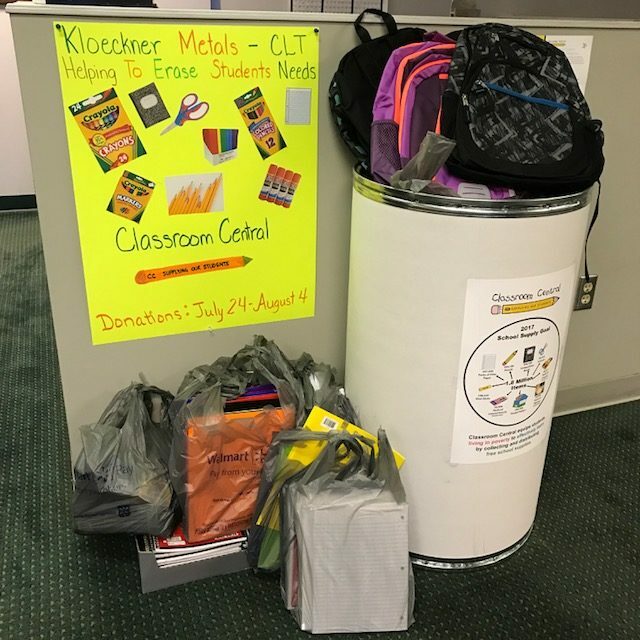 To meet this very important need, each year in August the Kloeckner Charlotte branch spends two weeks collecting supplies for the charity. Chuck sends out emails, post information on bulletin boards, and talks to the employees in the warehouse about donations and what everyone can do to help. Classroom Central has a list of the four or five items they need most, and the branch tries to focus on one particular item to collect in their main drive while accepting others as well. In addition to the annual drive, Chuck also likes to volunteer at the Classroom Central facility. He helps out at the supply facility, often on teacher shopping mornings. As he helps them load their cars and take orders, he gets to hear stories about how much of a difference the charity is making. As the KloecknerCares initiative gains momentum, Chuck hopes to get even more people involved with Classroom Central. “Hopefully more people will want to jump in and help more,” Chuck said. “I think if we get more information out to the employees and we can post more information about KloecknerCares, I think it will pick up steam as it goes along. Whenever companies or corporations can help out in their communities, I think it is just wonderful thing”.